This is an extract from a statement made in late 2017 by Magomed Daudov, the head of Chechnya’s parliament, one of the most influential people in the republic and Ramzan Kadyrov’s right hand man. 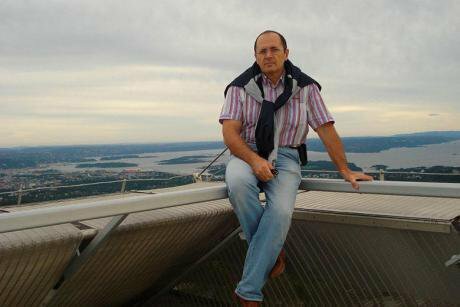 Daudov’s call did not go unheard: on the first working day of 2018, police officers arrested Oyub Titiyev, head of the Grozny branch of the Memorial Human Rights Centre. On 9 January, the weather in Grozny was miserable: an overcast morning turned into rain and wet snow that continued into the night. It was the first working day after the New Year celebrations, and people wrapped themselves up in scarves before setting out for work. Oyub Titiyev set off for Grozny early. Despite the forecast, Titiyev, who is used to tidiness, cleaned his car inside and out in the yard of his house in the village of Kurchaloy. He left home at about nine o’clock: he had to meet a friend first and then go to the Grozny office of Memorial, which he has headed since 2010. Titiyev planned to arrive at his office at about 11am, but he hasn’t been at work since that morning. Indeed, he hasn’t been at home or free to go anywhere. As soon as Titiyev left his home, he was stopped by police officers who asked him to show his ID and open the boot of his car, and then they “unexpectedly” found a package of marijuana weighing 208 grammes under his passenger seat. The story of Oyub Titiyev’s arrest has been covered in the press extensively. There is absolutely no doubt that the drugs were planted in the car, and that this was done to discredit not only Oyub Titiyev personally but the Memorial organisation in general. The Human Rights Centre is active in the North Caucasus; it’s the only international NGO with an office in Grozny. 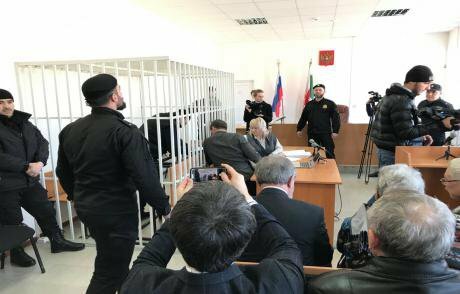 Two days after Oyub Titiyev was arrested, Shalinsk city court remanded him in custody for two months, and on 6 March the Staropromyslovsky district court extended his remand for a further two months. Appeals by lawyers, intercession on behalf of various bodies, not to mention statements by Titiyev himself and blunders by the prosecution were ignored by both the trial and appeal courts. In the few weeks since Titiyev’s arrest, Memorial has been subject to a number of attacks: its office in Ingushetia has been burned down; its staff members in Dagestan have been plagued by letters and phone calls threatening physical harm. The Dagestan office driver’s car has been set alight. Oyub’s lawyer and friends have been harassed in Chechnya. The NGO’s office in Grozny was also searched and drugs were found planted on their balcony. Titiyev’s close colleagues and family have had to flee the country. 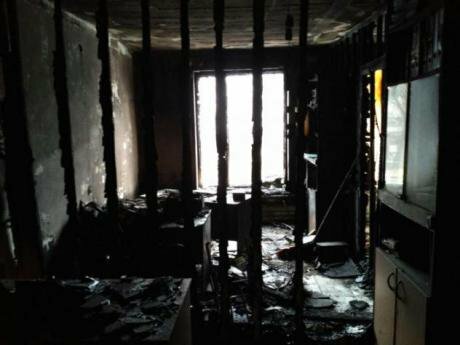 Memorial's office in Nazran, Ingushetia, after it an arson attack in January 2018. Source: Memorial. It is not just independent Russian and international human rights campaigners who have sprung to Oyub Titiyev’s defence: even Mikhail Fedotov, the head of the Russian Presidential Council on Human Rights, has joined in deploring his arrest. Human rights ombudsperson Tatyana Moskalova practically declared her lack of trust in Chechnya’s judicial authorities and asked for Titiyev’s case to be tried outside the republic. The Memorial organisation, meanwhile, has added him to its list of political prisoners. First they throw eggs: what will be next? Oyub Titiyev became head of Memorial’s Chechen team at a difficult moment. 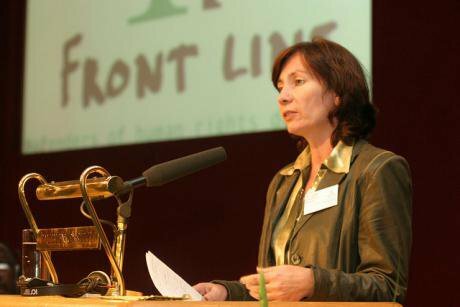 His predecessor was Natalya Estemirova, who was abducted from her apartment in Grozny in July 2009, driven to Ingushetia and murdered. Titiyev was then working in Memorial’s office in Gudermes, Chechnya’s second largest town, about 35km east of Grozny, and he was offered her job. Natalia Estemirova. BY-NC-ND 2.0 Frontline Defenders / Flickr. Some rights reserved. Oyub had continual problems, although he didn’t talk about them much. At one point, his family was evacuated abroad, but they couldn’t live outside Chechnya and returned home. Oyub kept receiving warnings, hints that he’d do well to leave his work and leave the republic. Both he and his colleagues were kept under surveillance. Oyub Titiyev’s detention is just one link in a chain of arrests of people who disagreed with the Chechen authorities’s actions. In April 2016, Jalaudi Geriyev, a young journalist working for the Caucasian Knot online news site was kidnapped, tortured and then arrested. He was in a minibus on his way to the airport, due to fly to Moscow and with nothing on him but a small backpack, when he was dragged out of the bus under the eyes of the other passengers and driven off to an unknown destination. The police later claimed that his arrest was accidental – supposedly he was caught smoking hashish in a Grozny cemetery. In September 2016, Geriyev was sentenced to three years in a prison colony, convicted of possession of a particularly large quantity of narcotics. Oyub Titiyev will be tried for the same crime 18 months later. The supposed proof of Geriyev’s guilt was the packet of marijuana found in either his backpack or his flat – the investigators came up with both explanations at various times – and the weight of the packet was suspiciously similar to the one being used to incriminate Titiyev. Geriyev’s defence team appealed to every possible body and lodged a complaint with the European Court of Human Rights (ECHR), but to no avail. Jalaudi Geriyev, who has been recognised as a political prisoner, is currently serving his sentence in a prison colony in Chernokozovo. 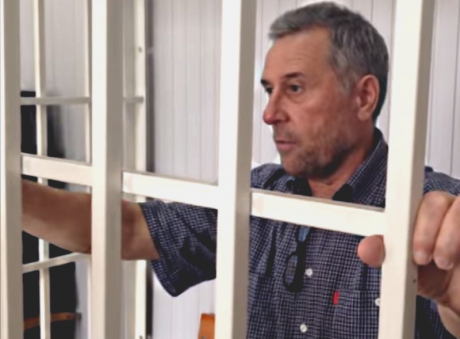 In December 2017, another Chechen political prisoner, the head of the Caucasus Peoples’ Assembly Ruslan Kutayev, was released from the same prison after serving three years and ten months. Kutayev was convicted under the same article of the Criminal Code, but charged with possession of a different drug. In 2014, when he was arrested, heroin was the substance of choice for planting on undesirables. Three grammes of the stuff were found on him, a sufficient quantity for a more serious charge, hence the longer sentence. Kutayev was arrested on the day after he chaired a round table that discussed whether or not to move the celebration of Fatherland Defender’s Day from 23 February to 10 May, 23 February being a day of mourning for Chechens in memory of their mass deportation to Central Asia on that date in 1944. At such discussions, Kutayev always reminded participants of this tragedy, despite the Chechen government’s ban on discussing it. Kutayev is now living on probation in Ivanovo, a Russian city northeast of Moscow and the place where he is officially registered, and will be required to remain there for a year after his release from jail. Afterwards, he plans to return to Chechnya and continue his activities there. In 2014, Ruslan Kutayev was sentenced to four years in prison on drugs charges. Source: Youtube. Igor Kalyapin, a member of the Presidential Council for Civil Society and Human Rights and Chair of the Committee against Torture and one of the people mentioned by Kutayev, does actively monitor things happening in Chechnya, but can’t engage in human rights campaigning in the republic. 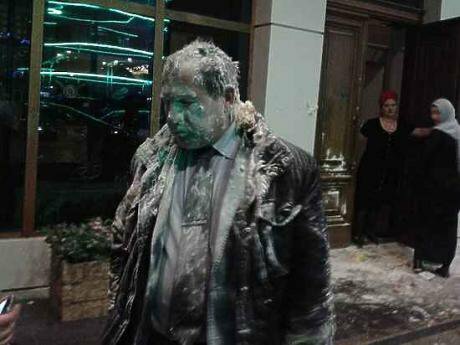 In 2016, he was assaulted at the entrance of the 5-Star Grozny City Hotel, where “local residents” threw eggs and flour and poured green dye over him. The Committee against Torture was one of the few organisations whose work in Chechnya was based on “mobile groups” of lawyers, human rights activists and journalists. Members came from various regions and would travel to wherever their services were required at a given moment. A few days before Kalyapin’s last visit to Grozny, one such group was subjected to a violent attack when the minibus in which they were travelling to Chechnya from Ingushetia (with some foreign journalists on board) was stopped by an unidentified group of people. The travellers were dragged out onto the road and threatened and beaten, and their minibus was set alight. Igor Kalyapin, Committee to Prevent Torture, was attacked in Grozny in March 2016. Source: Twitter.com/Moskvychova. Despite the attack being caught on tape (MediaZona journalist Yegor Skovoroda managed to switch on his dictaphone) and the evidence of its victims, the attackers have still not been found. 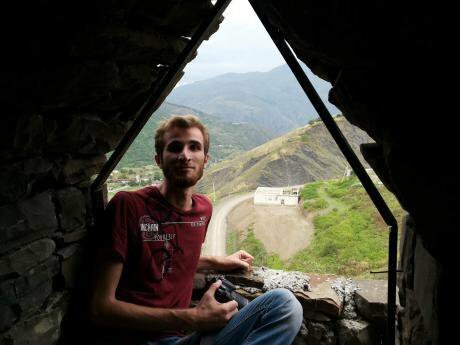 Kalyapin himself has stated more than once that the raiders came from the Chechen side of the border. Oleg Orlov runs Memorial’s “Hot spots” programme, and coordinates the human right centre’s work in the North Caucasus. Orlov’s first trip to Chechnya was in 1994, before the First Chechen War, when he travelled with Sergey Kovalyov, who was then Russia’s ombudsperson and head of the President’s Human Rights Commission. President Boris Yeltsin had commissioned Kovalyov to observe the return of refugees who had been displaced by the short-lived Ossetian-Ingush Conflict of late 1992. “When we had finished our main task, we dipped into Chechnya and discovered the horrific lack of rule of law there: bandits were attacking the Russian speaking population, taking advantage of the fact that the government of the de-facto independent Chechen Republic of Ichkeria wasn’t stopping them,” Orlov recalls. “We passed all the information we collected to Yeltsin, although it wasn’t used because war broke out soon afterwards. But Memorial has had a presence in Chechnya ever since”. 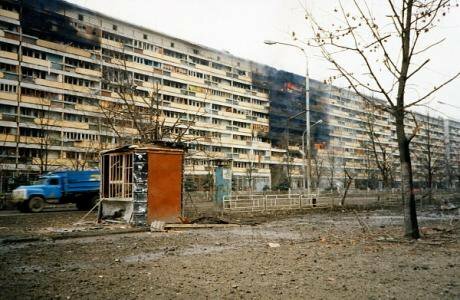 Grozny, 1995. Photo CC BY-NC 2.0: Vladimir Varfolomeev/Flickr. Some rights reserved. Orlov was part of Kovalyov’s observer group, representing Memorial, from the start of the war in December 1994. He tells me about the time when Memorial was setting up its network in the Caucasus: how it began by opening an office in Ingushetia, from where it could be engaged with what was going on in Chechnya. Later, the organisation had offices in Chechnya itself: in Sernovodsk, Urus-Martan, Gudermes as well as Grozny. He recalls Natasha Estemirova working with Memorial from the day it opened its office in Ingushetia. “We were constantly getting information about torture and the destruction of towns and villages,” he tells me. “We tried to publicise every instance of human rights infringement that we heard about. It was hard, both psychologically and physically – a lot of places were inaccessible because of the fighting.” Natalya Estemirova would get caught in gunfire in the centre of Grozny itself at that time. The Titiyev's trial in Grozny. Photo courtesy of the author. All rights reserved. Oyub Titiyev’s case has gone quiet; his next court session will be on the eve of 9 May, Victory Day. His defence team is not optimistic: the chances are that his time in pre-trial custody will be extended, after which they will start preparing to deliver his sentence. There is practically no hope of an acquittal – only 0.4% of people who come to trial are declared innocent. 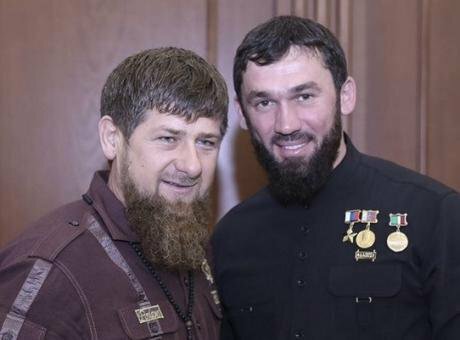 Meanwhile, Grozny’s TV station is busy filming wonderful stories about how Chechnya is flourishing – about the stability and security provided by the rule of Ramzan Kadyrov. On the screens, Kadyrov smiles modestly in response and promises never to let his motherland fall into the hands of foreign agents, as people who disagree with his government are generally known. Fashionably dressed young ladies stroll through the centre of Grozny, and young men sit in cafés drinking tea and laughing happily as they look at someone’s Instagram account. The house in the village of Kurchaloy where we last watched our human rights activist washing his car will soon be no more: Titiyev’s house and the 38 others beside it are to be demolished and replaced with a shopping centre.